Schaumburg, IL – October 5, 2018 – INX International Ink Co., the industry leader in metal decorating ink technology, recently opened a new plant in Itatiba, Brazil to produce 2-piece metal decorating inks. 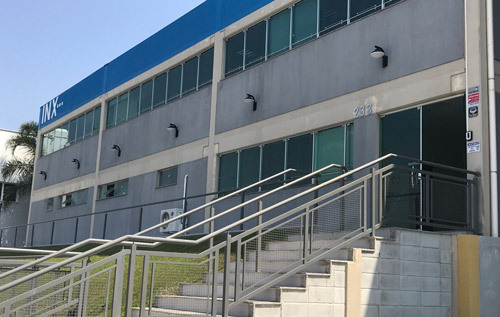 Located in the state of Sao Paulo, the 24,000 square-foot facility is its first new complex in South America since Creative INX was acquired in December 2016 and is designed to manufacture approximately nine million pounds of product annually. The new facility opened last month after construction was completed. Creative INX entered a 15-year lease agreement with an option on another 25,000 square-feet of space on land adjacent to the property. General Manager Luis Eduardo Ribeiro oversees 28 employees at the centrally located plant that was built with customers in mind. Ribeiro said the facility’s new equipment is state-of-the-art and was implemented with safety in mind. For more information about INX metal decoration products, visit www.inxinternational.com.